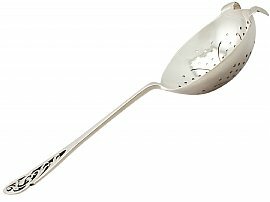 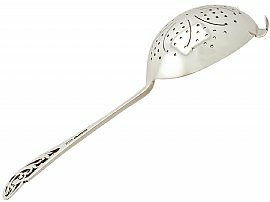 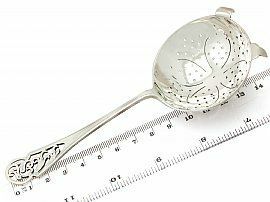 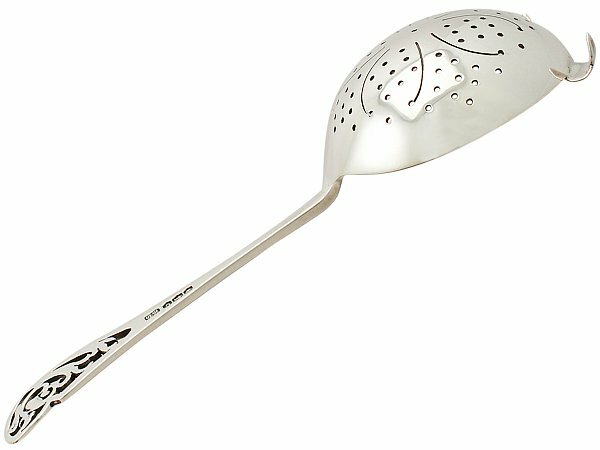 This fine vintage sterling silver tea strainer has a circular rounded form. 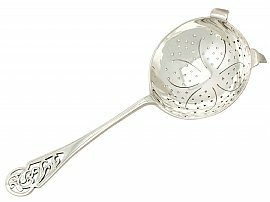 The bowl of the tea strainer is embellished with pierced circular motifs amidst four simplified petal outlines. 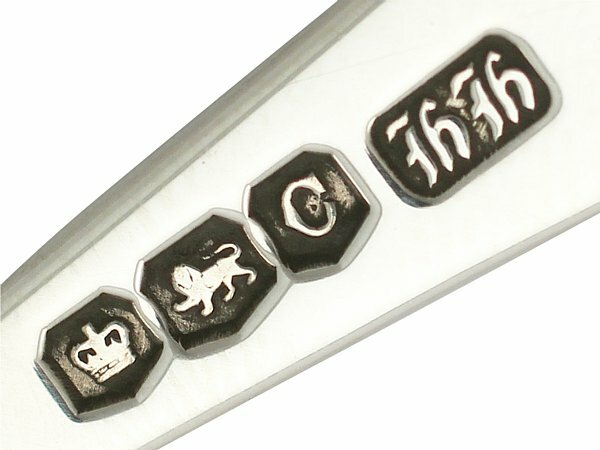 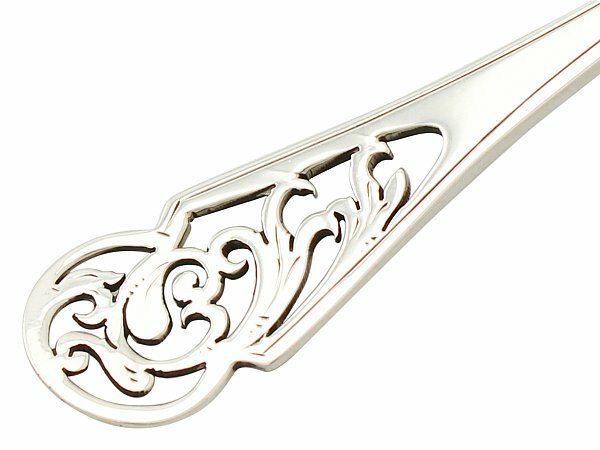 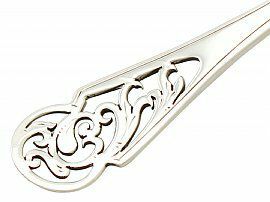 The plain tapering handle is embellished with a paralleling simplified border in adition to a shaped pierced decorated scrolling leaf terminal. Full hallmarks struck to the reverse of the strainer handle are all very clear.